This bold retelling of Luke 1–2, based on Eugene Peterson’s Message translation, reads like a novel and invites readers to experience the Nativity with fresh wonder. To Eugene Peterson’s The Message Bible translation, John Blase adds his own storytelling voice, exploring the familiar events from multiple first-person viewpoints. What emerges is the intimate story of unlikely people—a frightened teenaged girl, a worried carpenter, a collection of senior citizens, a disillusioned young shepherd—meeting up with the divine as they bumble and stumble toward the realization that the little one just born is the One. 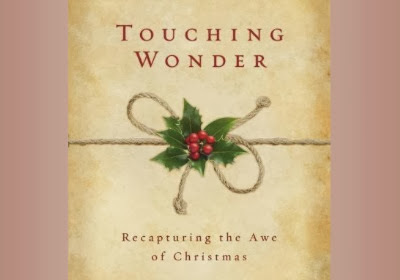 This retold story of Word made flesh invites readers to react appropriately—with eyes opened wide in wonder, jaws dropped in amazement, and hearts rejoicing. The beautiful design and Amanda Jolman’s lively line drawings make this book a fitting gift as well as a Christmas tradition that families will treasure for years to come.